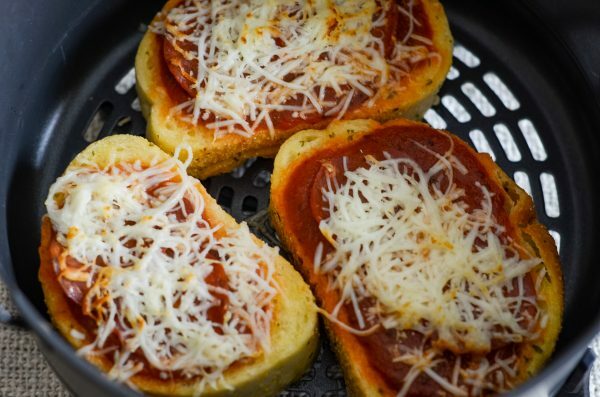 Make the best 5-minute dinner with this Air Fryer Garlic Bread Pizza Toast! 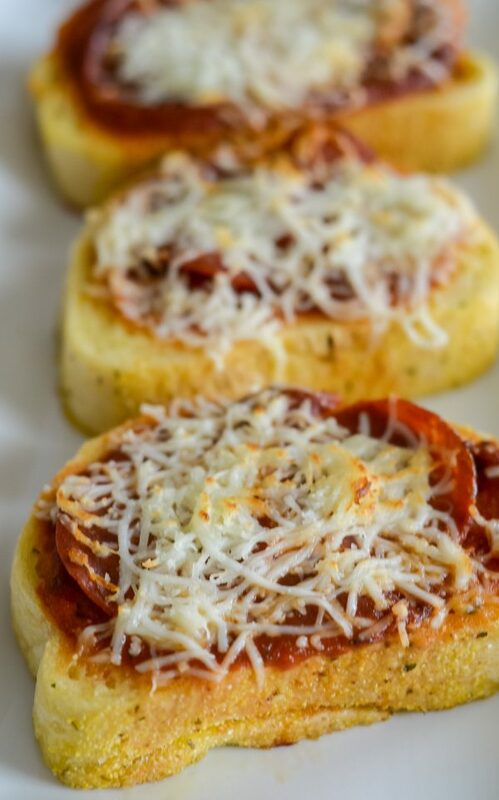 Many years ago, I made these Garlic Bread Pizzas that were an instant hit with my family. I’ll admit they were a hit with me too because they are so easy to make. As soon as we started using the air fryer, I knew that at some point I had to try Air Fryer Garlic Bread Pizza Toast because it would likely take half the time. Does it get any better than 5 minutes? 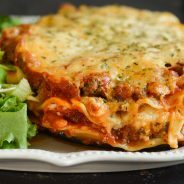 My kids love these and it’s such a great go-to for lunch or dinner when we don’t really have time to make dinner that night. It’s a fun way to mix it up, plus they taste wonderful too. Who doesn’t like Garlic Texas Toast? I’ll admit that Texas Toast is certainly on my list of things that I miss being gluten-free now. Thankfully though, my daughter and husband are still ready to enjoy Air Fryer Garlic Bread Pizza Toast anytime it’s on the menu. 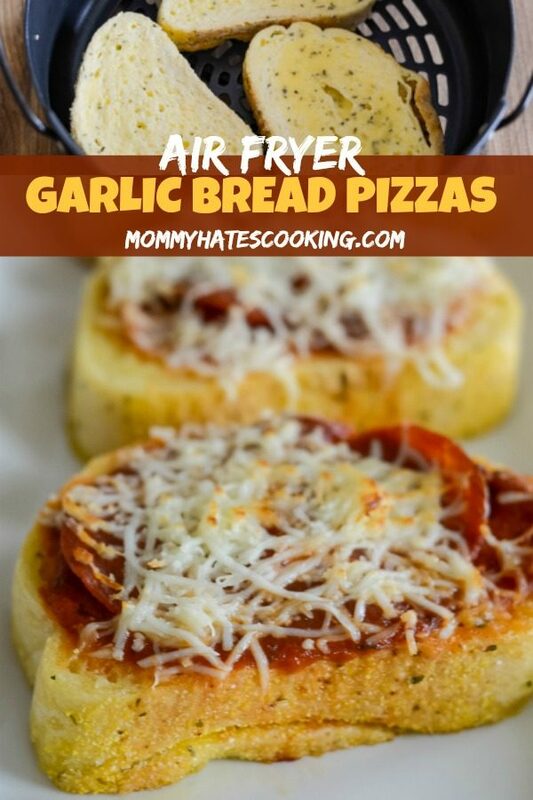 This is one of the best air fryer pizza recipes and sure to be a favorite with your family too. I will typically just do my own garlic bread to make some gluten-free for my son or I’ll use some gluten-free English muffins. 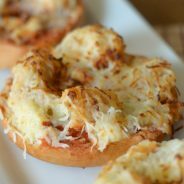 If you don’t have any Garlic Texas Toast on hand these Air Fryer Pizza Bagels are also a great option too. It’s going to be basically the same method just a different choice of bread or crust. 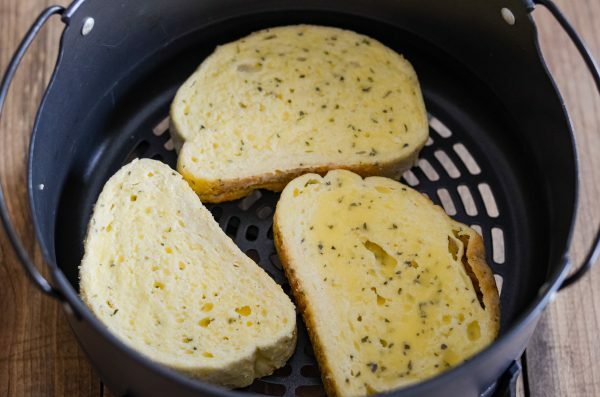 What do you need for Air Fryer Garlic Bread Pizza Toast? Can you use Aluminum Foil in the Air Fryer? YES! If you are like me and simply like to make things a little less messy, this is doable. The key though is to make sure the foil isn’t covering the entire air fryer basket. I tend to fold it up on the sides this way the air can still circulate. This is really based on preference and not something you have to do either. How long do you cook Air Fryer Garlic Bread Pizza Toast? Air Fryers tend to have different temperature settings, typically these will cook at 360 degrees for 5 minutes. If yours does not have a 360-degree option, go with 355 degrees. It’s also good to know how your air fryer functions, for instance, some need to be preheated, others do not. If yours needs to be preheated, turn it on when you start preparing your pizzas for a few minutes to warm up. 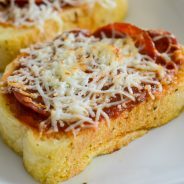 What should you pair with Air Fryer Garlic Bread Pizza Toast? We like to pair ours with a nice house salad or wedge salad. It’s easy to pair it with your favorite side item for a traditional pizza. 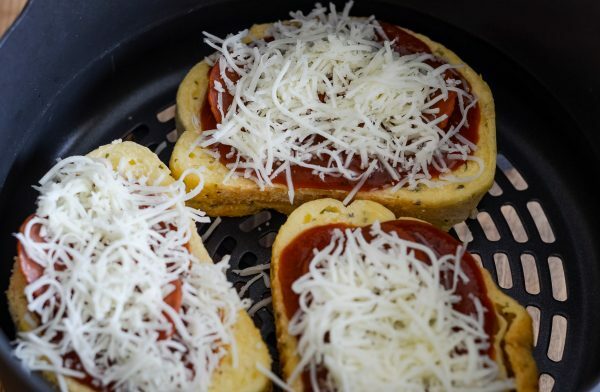 Now it’s time to make this tasty Air Fryer Garlic Bread Pizza Toast! It’ll only take a few minutes. Stock up with even more Air Fryer Recipes! 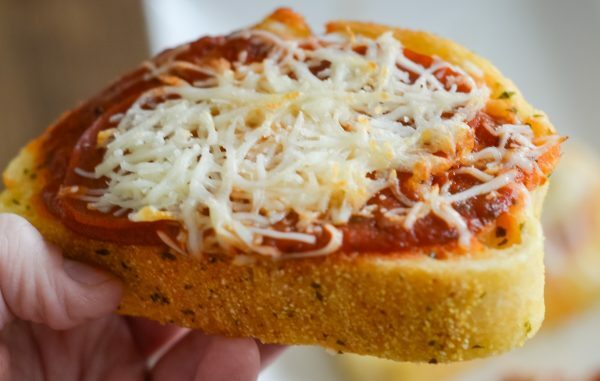 Make a tasty dinner in just 5 minutes with this Air Fryer Garlic Bread Pizza Toast! Place the toast in the basket inside the air fryer. Carefully top each piece with sauce, pepperoni, and cheese. Cook at 360 degrees for 5 minutes. Remember you can do this at 355 degrees or 360 degrees depending on the options on your air fryer. This also can be customized to your favorite toppings. We typically cook 3 at a time.